In my years as a Press man, I've come across numerous cases of ordinary Malaysians forced by desperate circumstances to go to the media and beg fellow Malaysians to help them out of a personal tragedy or a family crisis. Often, it had to do with health, a surgery that could save a child's life or a procedure that could enable a man to walk again (Health Minister Dr Zul, raise those epic eyebrows and take note). And usually they involve low-waged (hence, ordinary) Malaysians. 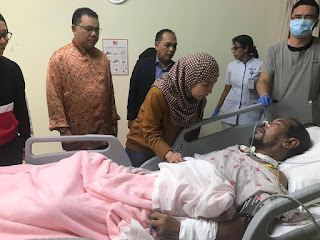 But the story of Encik Sahrom Ahmad, who suffered a crippling stroke in London and , as a result, a even more crippling medical bill, is rare. The 58-year old is a former employee of Tenaga Nasional Berhad so he is probably neither rich nor poor, like most of us Malaysians. But he could send his daughter to study in the UK (presumably, with a little help from the government as well) and he afford to buy a return ticket for himself (but not his wife) to attend her graduation. 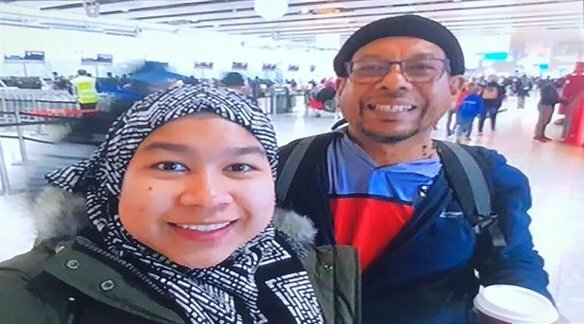 But when the "just in case" actually happened to Encik Sahrom, it certainly didn't go as well as he or his family would have hoped for and have the right to hope for. In the end, the daughter had to go to the media and begged fellow Malaysians to help. Educate Malaysians about the importance of health and medical insurance. And while you're at it, school the insurance companies about us Malaysians, about being humane, and about the functions of the brains and the hearts that the Almighty has given all of us to put to good use, please and thank you.